In 2015, four people were forced to live in the transit zone of Moscow’s Sheremetyevo Airport for an extended period. They came from Iraq, the Palestinian National Authority, Syria and Somalia and shared absolutely nothing with one another, except the insane situation they were in. They all ran from their countries because of events that they considered to threaten their lives and livelihoods; they were all flying to various third countries and had layovers in Moscow. For various reasons, none of them were cleared to enter those third countries and were sent back to the last country they had been to—Russia. Since none of them had valid Russian visas, Russian border guards did not let them through passport control and confiscated their passports. They all refused to return to their own countries and no other third countries were willing to accept them at first. They had literally no way out of this situation. All four individuals appealed to the United Nations High Commissioner for Refugees (UNHCR) in Russia for help, as well as to the Russian Federation to receive refugee status. Russian Federal Migration Service (FMS) considered their requests for several months before denying refugee status to all four. The judicial appeal of the denials took another several months and did not produce the desired outcome. The individual from the Palestinian National Authority spent five months in the Sheremetyevo transit zone, the individuals from Iraq and Syria—eight months, and the individual from Somalia—twenty-three months. For all of this time, they slept on mattresses on the floor in the middle of a departure terminal that is noisy and brightly lit 24/7. They ate rations provided by UNHCR and did not have access to showers. In the end, UNHCR managed to send two of the men to Denmark and Sweden, while the Palestinian and Somali were forced to return to their home countries. The “Right of Asylum” project of the Institute for Human Rights helped the four men appeal their refugee status denials. Lawyers with the project filed appeals on behalf of the stranded men with the European Court of Human Rights. In March 2017, the Court delivered a judgment in favor of the applicants, recognizing violations of articles 5(1) (unlawful deprivation of liberty) and 3 (prohibition of inhuman or degrading treatment) of the European Convention. The plaintiffs were awarded monetary compensation amounting to 15 to 26 thousand euros each. The Russian Federation, categorically opposed to this ruling, requested further consideration of the case by the Grand Chamber of the ECHR. A public hearing (video), with the participation of the applicants’ representatives and the Russian Federation, took place at the ECHR on April 18th, 2018. 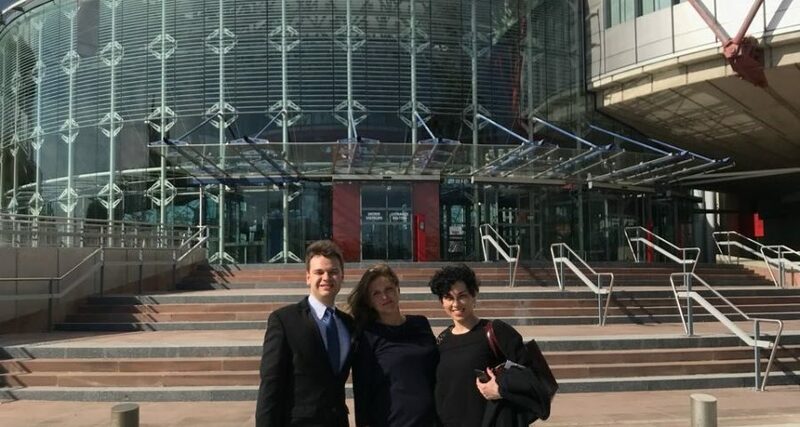 Legal Dialogue spoke about the case with Eleonora Davidyan and Daria Trenina, leading attorneys in the ECHR case from the “Right of Asylum” project. Where did these people come from and how did you hear about them? How did this story begin? E.D. Our project works very closely with the United Nations High Commissioner for Refugees (UNHCR) in Russia. These four individuals got connected with UNHCR when they were just trying to get information. They knew that, basically, something like it existed, and when they got internet access they got in touch with UNHCR via its hotline. UNHCR started to help them by providing them with food, water, and so on. It also connected them with our project so we could try to help them from a legal standpoint. We worked with them, along with Olga Plykina, a lawyer from the “Civic Assistance” organisation. Daria Trenina went to Sheremetyevo and tried to get through the barriers, the checkpoints. Sometimes they let her through, sometimes they didn’t. It was all very unpredictable. Somehow, we managed to get access to them so they could sign some documents. A notary could not get access to the transit zone and we could not sign the documents as their representatives. So, we had to go there ourselves to get the documents signed. They also could not send anything by mail because there was no post office in the transit zone. We had to fight for every signature. D.T. We met them with the help of an employee at the Moscow UNHCR office. It was not her first time meeting the applicants in the transit zone and, with a letter from UNHCR, they let me through with her as the attorney assisting the asylum seekers. At that time, all of them had already applied for asylum, but it was not clear what had happened to their applications: they submitted their applications to border control employees, received no confirmation of their receipt, and it was unclear (were they even handed over?) what would happen next. The access process surprised me—it was clear that there was no actual process. Everything depended on specific individuals on duty and their superiors. Subsequently, this impression only became stronger: each time I submitted a new application and explained to the shift officer that they had to let me through, I had to describe the situation to the surprised employees over again, as if for the first time. Still, up to certain point, they let me through. Even before our first meeting, I knew these people’s situation, how long they had been in those conditions, and I understood their mental state (depression, irritability, despair, and melancholy). I immediately felt their stories in my heart—they were all in a helpless situation, each for their own reasons, and what united their situations was that there was no way out. Their appeals to Russian authorities at that time were simply ignored. They were denied access to minimal amenities (showers for detainees). Their passports were confiscated. For all of them, except the Palestinian, being sent back to their unsafe countries of origin represented a legitimate threat. There was a feeling of complete disenfranchisement, complete helplessness and unpredictability. Were they all basically in the same situation? As far as I understand it, not one of them tried to get asylum in Russia? E.D. Well, that’s not why they arrived. They ended up in this situation by chance and then tried to get asylum because they had no other option. In the end, they all applied for refugee status and then appealed, and so on. But they had no initial plans to arrive in Russia to stay and live in Russia as a refugee or by any other means. For example, the Somali was flying from Yemen to Cuba via Moscow. In Havana, he tried to claim asylum, but they did not grant it and deported him. E.D. Yes, they deported him back to Moscow. The Palestinian had spent some time in Russia, had gotten a visa. The last time his visa expired, he tried to claim asylum in Russia. He was denied access to the procedure, he overstayed his visa, and the decision was made for his self-deportation. He tried to exit Russia and go to Egypt so he could cross on foot to Palestine via the Rafah Crossing. This was his only option. But, military action started there and the border was closed. He was deported from Egypt as well, because the reason for his arrival could not be determined. In Russia, along with his deportation, he was banned from entering the country for a certain period, so he was stuck. He tried to get refugee status, to claim temporary asylum which must be provided to him in accordance with Russian law for humanitarian reasons when a person ends up in a difficult situation. The Iraqi fled Iraq. He was also pursued from various sides, because he is a Sunni1Sunnis make up one third of the population of Iraq, where Shiites dominate; a civil war continues in the country, already in its second decade, and Sunnis are frequently suspected of supporting Islamic terrorism., and because he is an architect and ISIL wanted him to work for them—he had skills that they wanted. He didn’t want to [work for them]. He flew to Turkey and spent some time there. He also registered with UNHCR in Turkey but got nothing, no progress with his appeal. His one-year visa ended and he went to China, to Beijing, because he managed to get a one-month visa there. There is no procedure at all in China for claiming asylum. Maybe there is on paper, but in reality, there is simply nowhere to go to get that kind of help. His one-month Chinese visa ended and he had nowhere else to go, except back to Turkey. At that time, citizens of Iraq could get Turkish visas at the border. But, in the end, they didn’t give him one. And there was the Syrian, Hasan Yasien. He spent some time in Russia before. He got a visa and he periodically had [business there]. He also at one point tried to claim asylum, but did not receive it. The decision was also made for his deportation and he tried to go to Turkey, but he was not allowed to enter the country and had to return to Moscow. 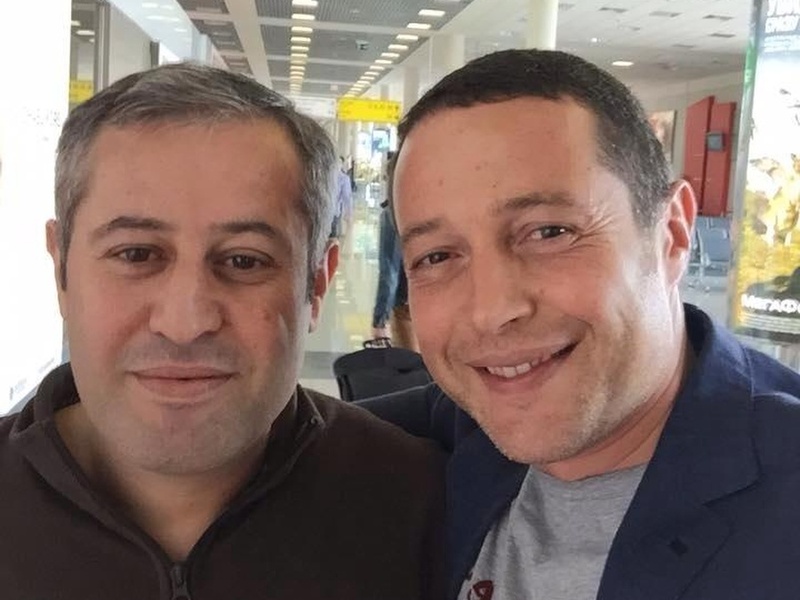 Moscow sent him back to Turkey, and Turkey sent him back to Moscow again. They couldn’t leave [Sheremetyevo Airport] to go anywhere. Not to the city, they basically could not leave the transit zone, because the only way to leave was by boarding a plane or crossing the border and they couldn’t cross the border without documents. They didn’t have access to fresh air. They were in this kind of aquarium for anywhere from five-plus months to 23 months in the Somali’s case. First, he waited for Russian authorities to make a decision about his refugee status, then he appealed their decision to migration authorities on the federal level, then he went to court, then to the appellate court. And all of this took so much time. He had nowhere to go. It didn’t work out for him to go to Europe like it did for the Syrian and the Iraqi. He had no other options. He waited for a final decision to be made. When a final decision was made to deny him, only then did he return to Mogadishu; he stopped working as a journalist. He had been a journalist, and the local terrorist group al-Shabab demanded that he work for them. They put pressure on his relatives, they killed some of his relatives, so he fled to Yemen. But, an armed conflict began there and he also had a personal conflict developed so he left Yemen. In the end, he returned to Mogadishu, left his profession behind, and five years have passed since he went there. The rest is clear. You mean, for all of them, before they could appeal to the European Court for Human Rights, they had to exhaust all domestic options for legal protection. They all made appeals in this helpless situation for asylum in the Russian Federation, and all of them were denied. E.D. Yes, they all applied for refugee status. Then, when we got involved [in the legal process], we helped them appeal the denials. Some of them managed to appeal all the way through, some of them did not because they were relocated. And, again, because we could not get their signatures, and it was impossible to issue a power of attorney, we didn’t even get to finish court proceedings. Only the Somali managed to reach the appellate court. D.T. This all took so long—especially the first stage was painfully long, before the interviews, when it was entirely unclear when their applications were handed over from the FSB to the FMS, and then waiting for them to be processed. After that, deadlines were formally met, except at the trial stage. Still, in this situation, it was inhumane not to speed up the process. I also have an idea of how the interviews were conducted—it is far from likely that an employee of the FMS in those days (although, with the transition of this function to the Interior Ministry2On 5 April, 2016 the Federal Migration Service was abolished and its functions were transferred to the Central Department for Migration Issues at the Ministry of Internal Affairs of the Russian Federation., nothing has really changed in this respect) wrote down everything that was said, and how it was said, instead of writing down what suited their purposes for rejecting the applications. Moreover, they had to conduct the interviews with a translator. Afterwards, no certificate was issued to these individuals regarding their applications. It is required by law that a certificate be issued in exchange for their passports. The passports were confiscated by border guards before the interviews, and no certificates were issued. My requests to that end were ignored, along with the relevant appeal requirements, as if they didn’t exist. An employee of the FMS explained to me why it happened this way and why the FMS violated the law: if we give them certificates, they can enter the country! How did you speak with them? In English? With interpreters? If yes, where did the interpreters come from and how did they get into the transit zone? D.T. All of them spoke English except the Palestinian. We spoke in Russian with him—he understood some things and could say a few things, but it was very limited. I had to sacrifice an interpreter’s help—I can’t imagine how I would have gotten them through with me [into the transit zone], or how long it would have taken to arrange each meeting. Actually, they always came with FSB—three to five people stood around us, almost in a circle, catching every word. To be honest, I (with the consent of the applicants) started to speak loudly and slowly on purpose when I was explaining the essence of our applications on their behalf and the application draft that I prepared in their names and that they had signed. Otherwise, the authorities would have had a hard time trying to read their contents over my shoulder. [I didn’t want] anybody afterwards to be able to say that the authorities didn’t know about the applications. And did you send all four applications to ECHR at once? E.D. It was basically simultaneous, all of the applications were submitted within a month. At first, we tried to ask the European Court to take urgent interim measures. We wanted the Court to force the Russian authorities to relocate these individuals to a specialised temporary placement centre for foreigners, but the Court refused to take such measures at that time. That was basically the reason for our applications. Since we cannot appeal the decision not to grant them asylum, which is not guaranteed in the first place, we applied because while they were seeking asylum they were not treated as they should have been according to Russian law. The conditions they were held in not only didn’t comply with Russian law, they didn’t even meet the most basic requirements of the Convention. Essentially, any person’s petition to receive refugee status must [go through a specific process]: they must be interviewed, the decision must be made to consider the petition on its merits—meaning, does it meet certain criteria; and Russian law provides a very generous list of grounds by which migration authorities can decide not to process a claim. In our case, not one of these grounds was applied and all of the petitions were considered on merit. At the moment the applicant is interviewed, the process for considering their application begins. They take their documents away and must issue them a certificate [that their application is being considered]. Then, there is a host of guarantees provided for in Russian law. The most important of them is the provision of temporary accommodations in a special centre, where they are given food, medical assistance, other kinds of social assistance, and even some minimal stipends. There, they can go outside and breathe fresh air. It’s not totally closed off. This is supposed to be accommodation, not detention. No exceptions are made in the law for people who apply for refugee status at the border. Actually, the law does take into account the situation of someone applying for refugee status at the border. It’s very poorly described, but it’s there. There are no exceptions here, and basically, we are talking about how, in accordance with Russian law, our applicants should have been offered those guarantees and relocated to the appropriate centre. They were given no certificates and their passports were confiscated. Sure, it was border control that took their passports, not migration authorities. But, once again, there was no reason for this, no regulation of any kind. They were not provided any of the guarantees or assistance that they should have received. So basically, in essence, everything that happened to them was no different than the procedure provided for by the law, except that it happened in the airport? And what if we weren’t talking about the airport. What if they crossed the border on foot or by car? Would it be the same? E.D. Actually, I don’t know about such cases. That doesn’t mean it has never happened, but, basically, the law requires that, when someone is forced to make an illegal border crossing and claims asylum, they must address authorities within 24 hours to seek refugee status. But in this case, they never crossed the border? E.D. They never crossed the border. They never had the chance. A forced border crossing is usually understood to be a person running for the border and being shot at from behind. The law doesn’t directly discuss cases when someone simply crosses the border and asks for asylum. The wording is very opaque in the law. But, nonetheless, they accepted the applications and considered them on their merits. So, if, for example, they crossed the border into Russia with valid visas and then claimed asylum, would they have been dealt with as the law provides? But here, the only reason this didn’t happen is because they could not cross the border without grounds and got stuck in this murky no man’s land. E.D. They got stuck and there are absolutely no regulations for this in Russian law. Nobody knows what to do. The airport doesn’t know what to do because they are living in the airport, on mattresses on the floor in terrible conditions. 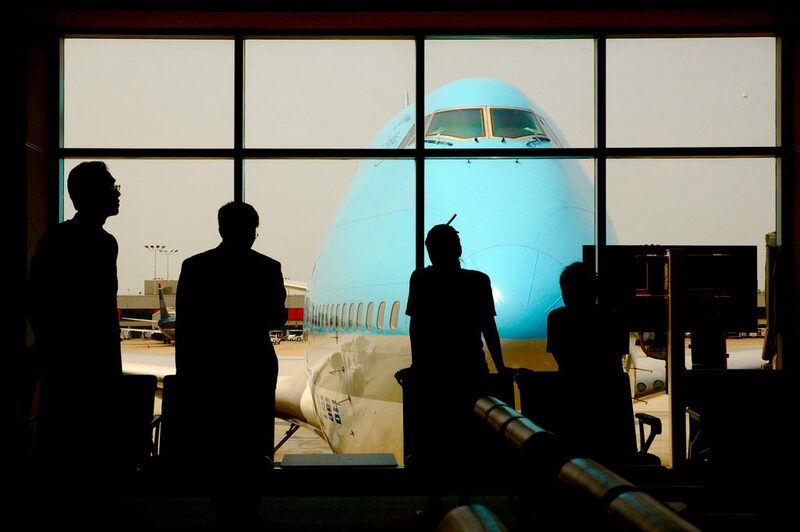 The airline company doesn’t know what to do because usually the airline must take responsibility for taking someone away who arrived with that airline company without the appropriate documents. It was also unclear where they should go because not a single other country would accept them and the airline was unable to take them by force back to the country from which they fled. What was the position of the Russian government in regard to this in the ECHR proceedings? As I understand, they said that the situation was hopeless and there was no way to accommodate them because they did not have entry documents. E.D. Well, they didn’t say the situation was hopeless. They didn’t acknowledge that. But, because they didn’t answer certain questions, it was clear that there was no answer. They said that the applicants were not actual refugees, that they just wanted a better life and were trying to claim asylum. And this question has nothing to do with the case, right? E.D. Yes. We find that the position of the government has no relation to the issue we are appealing. That is to say, even if they had been real refugees in the eyes of the government, it is unlikely that their treatment would have changed. All the same, while their applications were being considered they would have been forced to remain in the airport. E.D. Well, the government said that they should have gotten visas ahead of time, entered the country, and then addressed Russia to get what they wanted. And the visa, what kind would they have gotten? After all, we don’t have a political asylum visa. E.D. No. But, [according to the government,] when a person is fleeing bombings in Syria, they must first go to the Russian consulate and get a visa. In general, they basically tried to put the European Court’s approach to this issue under review. Representatives of the government accused the European Court of recognizing the applicants as refugees at the same time as the government was trying not to recognize them as such before their applications were considered. Meaning, the government had already asserted that the applicants were not refugees and, because of that, they did not need to be accommodated anywhere. A determination of whether they were refugees needed to happen first before they could be recognized as actual refugees or not. The government tried to review the European Court’s approach which, in its view, gives too many rights to individuals who arrive in a country and start making demands. Were they really running from life-threatening situations in their home countries? D.T. Yes, three of them described, articulated the risks in detail—acts of war, threats, and pressure to join terrorist organisations. The Palestinian described his homeland’s situation in general as the reason for his departure. Whatever it was—whether he personally considered the Gaza Strip to be a relatively or sufficiently dangerous place or not, he couldn’t get there despite all of his desires. Egypt closes the border when it feels the need to. As far as I can tell, it’s impossible to say exactly when it will be open and when it will be closed. He said that he tried to seek asylum in Irkutsk, but they chased him away, threatening to arrest him for violating migration law. In the end, he was deported and he attempted to comply with this ruling by going home. But, Egypt sent him back. Our government wrote in their memorandum that he, a grown man, should have been able to understand that he would not be allowed into Russia—they had forbidden him from entering the country. This is justifiable, of course, except that he did not deport himself [to Russia]. Is there any relevant ECHR case-law? E.D. There is, more than 20 years old. For example, in the case of Amuur v. France, people also arrived and got stuck in the transit zone. They had a much shorter term of stay and returned to where they came from in the end. So, they were also denied entry, but that’s not the point. The point is that the European Court recognized that this was a form of deprivation of liberty. Still, the government tries to tell us that our applicants were not arrested or deprived of their liberty, that they were free to leave the country at any time, and our government simply restricted their entrance into the country. But the practice of the European Court is such that, of course, at first it is simply a restriction of freedom of movement, when authorities do not allow these new arrivals to enter the country. But, with the passage of time, it stops being a simple case of restriction of movement and becomes deprivation of liberty because these people have nowhere to go, no third country can take them, and they cannot return to the countries from which they fled. When the authorities take too long to consider applications for refugee status, the situation becomes deprivation of liberty, and that country must begin to take responsibility for the conditions of that state. Seeing as how this is not a new problem and that it has already happened in France, has France or any other government changed its practices? If so, then how? If you don’t know, or if they didn’t change them, then what, in your view, should the Russian Federation have done in this situation? E.D. Did France change its practice? I don’t know of other such cases against France; I think they changed their practice because there were laws and certain procedures applied, as opposed to our situation where there was absolutely no regulation. There would still be some restrictions. E.D. Of course, restrictions of movement. Restrictions on the freedom of movement or even restrictions on personal freedom in general. This would have not violated any guarantees if it was done within the bounds of the law. Second, it must be understood that getting to Sheremetyevo Airport without documents is highly difficult. Everyone boarding a plane flying to Russia knows that their visa and reason for entry will be checked by the airline. If there are no grounds to, the airline simply won’t let them board. That’s why there aren’t hundreds of these cases, just a few. There also aren’t that many refugees trying to go to Russia. And the most important thing: you don’t even have to let these people into the country to honor their rights. It would be enough to simply leave them in the transit zone but in slightly more humane conditions, some sort of relatively closed off space with a few beds and access to showers. So, in your view, a solution to the problem would be equipping some kind of detention centre or something like that for cases when Russia absolutely cannot allow somebody to cross the border. E.D. Well, yes, a facility. And, obviously, the application process needs to be faster. Because waiting two years for your case to be considered simply doesn’t work for individuals in this situation. In this specific case, the deadlines provided by the law for considering applications were severely exceeded. But, even those deadlines provided by the law were not adequate for this situation. Waiting two or three months for an answer is not OK. These applications need to be considered rapidly. There need to be special regulations for this. In the initial ECHR ruling, did the Court agree with everything you said and reject the arguments of the government? E.D. Basically. At that time, the governments arguments were a little different. The government started by saying that the transit zone was not legally part of the Russian Federation, since it is located beyond its borders. This was their main argument. And they said, since the Russian Federation has no jurisdiction there, it has no responsibility for the conditions they were in. So, they tried to say that the applications were inadmissible? E.D. Yes. The government also said that they were not refugees and they had no grounds to enter the country. At that point, the Court said that the Russian Federation did have jurisdiction. And, I’ll say again, we reviewed all of the laws that apply in the transit zone and they definitely confirm that it[, the Russian Federation,] has jurisdiction [in the transit zone]. Accordingly, the European Court recognized that this situation qualified as deprivation of liberty based on the already established test by which the court defines deprivation of liberty. The one thing that the Court did not pay attention to at that point was the fact that their passports had been confiscated. When the case was reviewed before the Grand Chamber, this issue was given special attention: all three of the judges who asked questions asked about the passports as well. There will probably be a more extensive and detailed examination of this specific situation. In your view, what was the problem with how they confiscated the passports? Even if they had passports, it’s not like they could go anywhere. E.D. Yes. That’s why we also said that this was not the primary issue. It was an additional restriction of their freedom because, if they suddenly found a place to go to, they still had to get their passports back through UNHCR. They would not just hand them back their passports. Even the Syrian and the Iraqi who eventually went to Europe were not handed their passports. This is a practice of the border control authorities most likely because they don’t want the passports to be destroyed, which would allow the individuals to stay there forever. They confiscate passports without any kind of procedure or official decision, and if the person finds a place to go, their passports are handed over to the flight crew. Is this a specifically Russian practice, as far as you know? E.D. Yes. We haven’t seen it happen in other countries. And again, since this is not a specific law, just a practice, we don’t know of similar cases. For example, the Syrian at one point tried to fly to Lebanon, but they would not accept him, as we understand it, because he was in a suspicious situation and did not have his passport in hand. The fact that he arrived [at passport control] without a passport, and his passport was with the captain or another member of the crew, was a red flag for the Lebanese and they sent him back. And what do you think, given that the European Court has a well-established case-law on this issue, why did the Russian Federation decide to have the case reviewed by the Grand Chamber? E.D. I think, first, for them this is a fundamental issue, because they continue to insist: if the European Court adopts this practice, all of the refugees are going to break into Russia and there are no other countries for them to break into. Even Mikhail Galperin, the Representative of the Russian Federation to the ECHR, called this a “golden opportunity” in his speech, which made us laugh, of course. They think that now, with the European Court’s policy, practically anybody can fly to the Russian Federation and make their demands. They don’t want to let that happen. So, do they want everything to happen exactly the same way next time? You didn’t say they were supposed to be given asylum. You said they should have been provided with adequate living conditions while their applications were being considered. E.D. Yes. Of course, the government continues to ignore us when we insist that this is not what we are debating. They continue to argue that they should not have to grant asylum—and for that reason nobody owes anybody anything. They say that if [this situation happened again], well, judging by everything, yes, they want everything to remain the same, and since they think that Russian authorities carry no responsibility for people who simply arrive at the border without any kind of visa, they think that this is how it should be: they choose to come, they choose to suffer, they choose to leave. And did it happen by chance that on that same day a similar case against Hungary was being heard by the Grand Chamber? E.D. Not by chance at all. We believe that the real reason for the review was precisely this case against Hungary, not the arguments and requests of the Russian government. It so happened that two different chambers of the Court made judgments at practically the same time on very complex cases. Both judgments were in favor of the applicants, but their motivations were a bit different. The applicants themselves were in slightly different situations. In the Hungarian case, the situation of the safe third country is very important, as the Hungarian government claimed that the applicants came from Serbia and had to return to Serbia, as Serbia is a safe country. In our case, that concept was irrelevant and, in general, the Court did not delve into this question when it delivered its judgment on our case. Our government said that the world is open, fly wherever you want. But the Court did not delve into it at that moment. It did not consider whether they had a safe third country to go to from Russia that was not their home country. We believe that, specifically because the motivations were different, the Court wants to streamline its case-law into some kind of specific, uniform algorithm that must be applied to resolve cases such as these. That’s why, I think, in our case the Grand Chamber paid far more attention to those details with the passports, for example, and with third countries. Did you get in touch with your Hungarian colleagues? E.D. Yes, we got in touch with them when written submissions were made. We made our positions align—they basically didn’t contradict each other, they were identical. We discussed everything and made sure we were right. Is there a serious chance that the ruling, as they say in Russia, will stick? E.D. As far as our understanding allows us to assume—we think, yes. We think that this was done for unification and we don’t see grounds for the Court to suddenly change its stance after twenty years. Of course, no stance is etched into stone forever, situations change. But, since there are so many migrants and refugees in Europe right now, the Court’s position about at what point restrictions on freedom of movement become deprivation of liberty, we believe, will not change. That’s why we are counting on the Court to leave the chamber’s decision in force. Since this happened, has a similar situation taken place in Russia? E.D. There was an Iraqi family in Sheremetyevo around the same time, and they were allowed into the country and were accommodated. But, as part of the deal, they decided not to appeal, especially to the European Court. They decided it was better to maintain good relations with the authorities. As far as I know, they did not get refugee status and had to leave, but at least they awaited that decision in humane conditions. But how were they allowed into the country if, according to the government, that was not possible? E.D. Well, again, that is our argument. Because, even before that, in 2015 there was a Syrian family that entered the country and was given accommodations. So, these practices are entirely ad hoc, there is no regulation. When they want to, they apply the law, when they don’t want to, they don’t. Did Russia say that they allowed them to enter because they had children? E.D. Well, Judge Dmitry Dedov [for the ECHR from the Russian Federation] tried to address this. He asked what the difference there was between the two cases and whether the applicants have children. And we, once again, tried to answer that, from a legal standpoint, this is absolutely irrelevant. In Russian law, there are no grounds upon which one person may be allowed to enter and another person not allowed. It was obvious to us that the difference was the public response to the story. Because there were children, journalists paid a lot more attention to it. It had public resonance, it seems the father also had cancer. That’s why they let them in. In theory, if this decision stands, the Russian Federation will have to do something. E.D. Well yes, if the European Court rules that Russia must take some kind of general measures, then they have to do something, but that will be for the [European] Committee of Ministers to decide. The European Court itself will not specifically write down what they should do. In your view, the simplest thing would be to equip a special facility? E.D. The simplest, yes. The best option, of course, would be to let them into the country and accommodate them in those centres that already exist and have decent accommodations. Why not? Moreover, as we can see, it’s entirely possible. E.D. It’s possible and, as we can see, it doesn’t affect the sovereignty of the Russian Federation at all because the movement of these individuals will be limited anyway. And it’s not clear how these four individuals could have had a serious impact on sovereignty. E.D. Well, then process their applications faster. And send them away. No one is saying that they shouldn’t have rejected them for not having a reason to be in Russia and should have given them refugee status. Just refuse them in normal conditions in a reasonable amount of time. Let’s start there. The law provides specifically for this situation: let them enter on the basis of their certificates and be accommodated while their applications are being considered. But, if this is such a big problem, it will not require any huge financial effort on the part of Russia to equip a small room with several beds and a shower cabin in the transit area. It has been a long time since the events described in the appeal transpired. What do the applicants say now about this whole story? D.T. They are waiting for an outcome, like us, waiting for a judgment from the Grand Chamber. They consider their time in the transit zone to have been inhumane—and, of course, they want the Court to recognize this. 1. ↑ Sunnis make up one third of the population of Iraq, where Shiites dominate; a civil war continues in the country, already in its second decade, and Sunnis are frequently suspected of supporting Islamic terrorism. 2. ↑ On 5 April, 2016 the Federal Migration Service was abolished and its functions were transferred to the Central Department for Migration Issues at the Ministry of Internal Affairs of the Russian Federation.